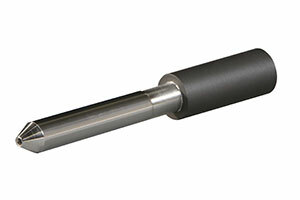 Processing of outer surfaces and edges is possible with one single tool. 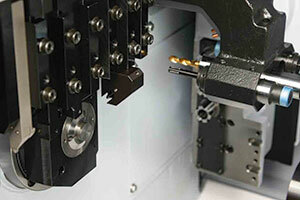 The precompression can be set and processing can be carried out on workpieces with key grooves and D cuts. Its unique screw load system realizes a compact design. Its simple structure means low cost. Note: The value for the non-burnished area shown above applies when a clearance of 0.5 mm between the edge of the workpiece and the tool end is secured.